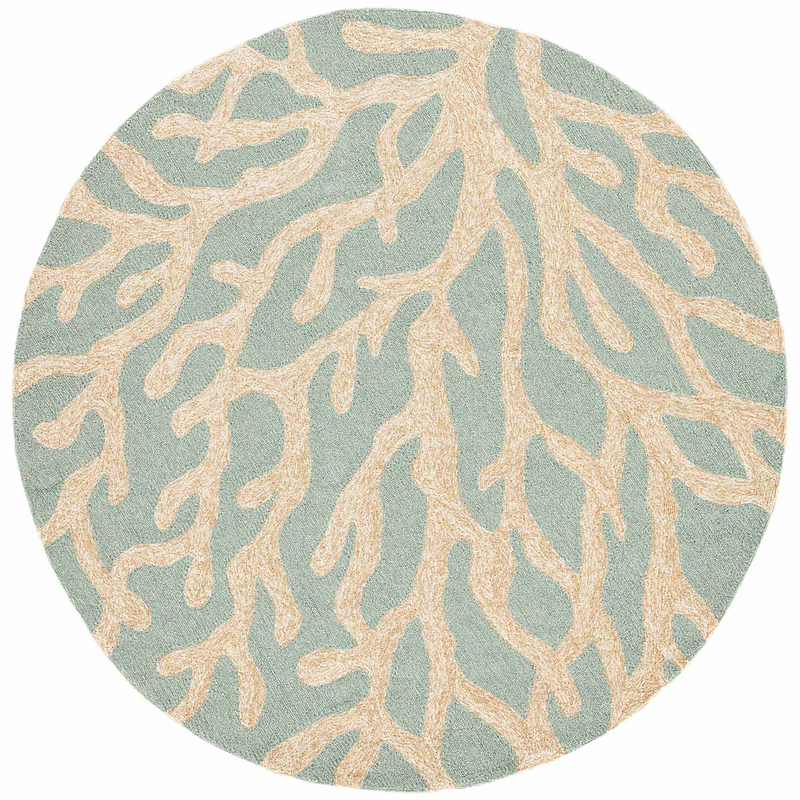 Give your den a coastal update with the Blue Sea Coral Indoor/Outdoor Rug - 8 Ft. Round. Crafted with neutral mottled tan coral branches on a light teal backdrop, this indoor/outdoor rug makes a beautiful accent.